Citrus Heights Mobile Auto Repair is located in Citrus Heights​, CA. We provide mobile auto repair and auto maintenence to vehicles in Citrus Heights​, CA, and surrounding areas. Our experienced technicians service all makes and models of cars and trucks, as well as street rods and classic cars. Citrus Heights Mobile Auto Repair, in Citrus Heights​, CA. is a full service auto repair offering a wide variety of services. 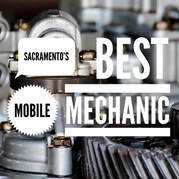 Citrus Heights Mobile Auto Repair, in Citrus Heights​, CA is a locally owned and managed auto repair service that comes to you, not you to them. We understand that life has its demands and most auto breakdowns happen at the worst possible time. With 10+ years of auto repair experience, we have dealt with problems big and small. No matter the size of your troubles, it is our duty to diagnose your auto repair troubles and get your wheels turning as soon as possible. Our job is to make sure you can count on your car. Citrus Heights Mobile Auto Repair in Citrus Heights​, CA. provides convenience that you will not find with any other auto repair company. Tired of missing work? Towing costs too expensive? Looking for someone that is willing to come to you? Citrus Heights Mobile Auto Repair top-rated automobile repair services in the Citrus Heights area. At Citrus Heights Mobile Auto Repair, we are committed to taking excellent care of you by taking excellent care of your car. Call us right now if you are in Citrus Heights, CA- 916-306-5254.